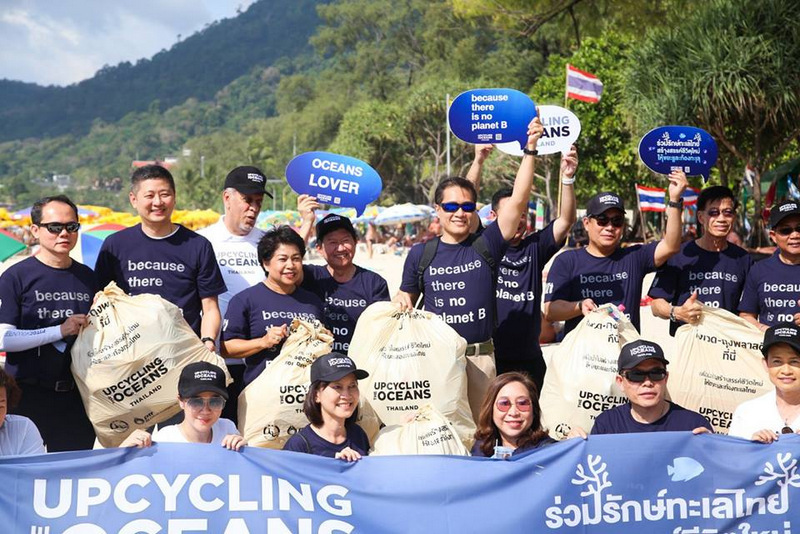 PHUKET: About 1,000 people joined together to collect more than 800 kilograms of waste from three Phuket beaches yesterday (Jan 28) as part of Phuket’s efforts to join the global “Upcycling the Oceans” campaign created by Spanish clothing brand Ecoalf. 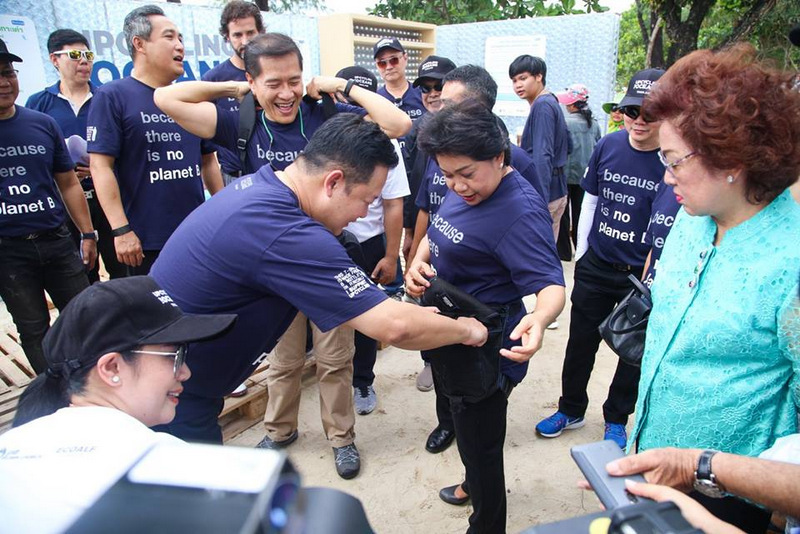 The mass cleanup yesterday was organised by the Thai government through local officials, with Tourism Authority of Thailand (TAT) Governor Yuthasak Supasorn and Tourism & Sports Minister Weerasak Khowsurat present for the occasion. 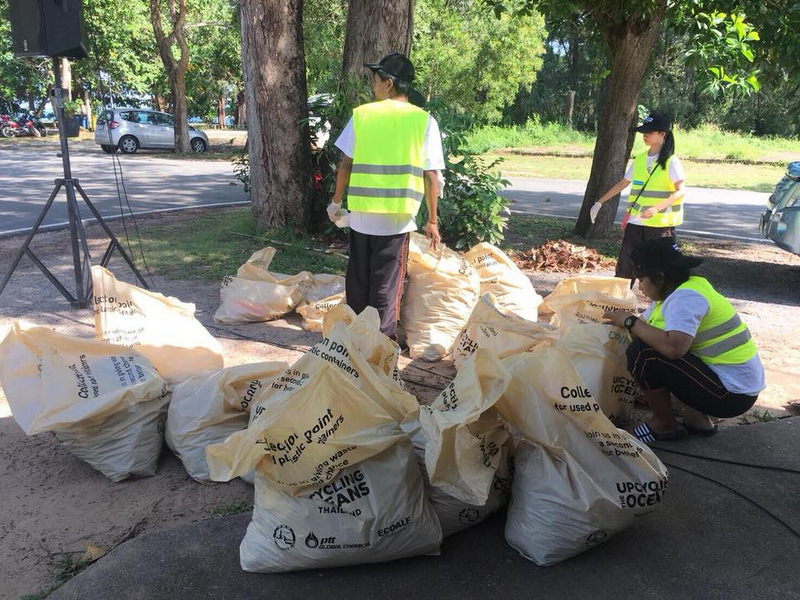 Participants in yesterday’s cleanup, which included staff and management from local hotels and resorts as well as volunteers from local environmental groups, collected a reported 852.6kg of waste, comprising 294.4kg of waste from Nai Yang Beach; 315.8 kg from Nai Harn Beach and 61.9kg from Patong Beach – as well as 180.5kg in waste collected from coastal waters just offshore. 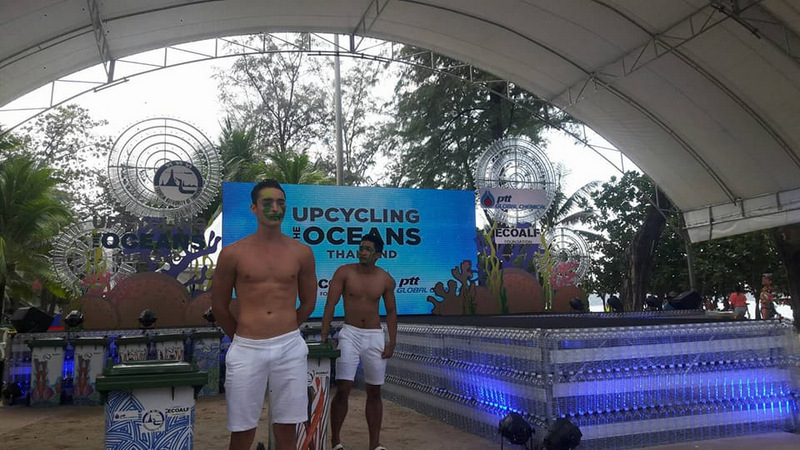 Tourism Minister Mr Weerasak urged Phuket residents, businesses and tourists to be more aware of coastal marine resources and to reduce waste in the ocean under the “Upcycling the Oceans” campaign. 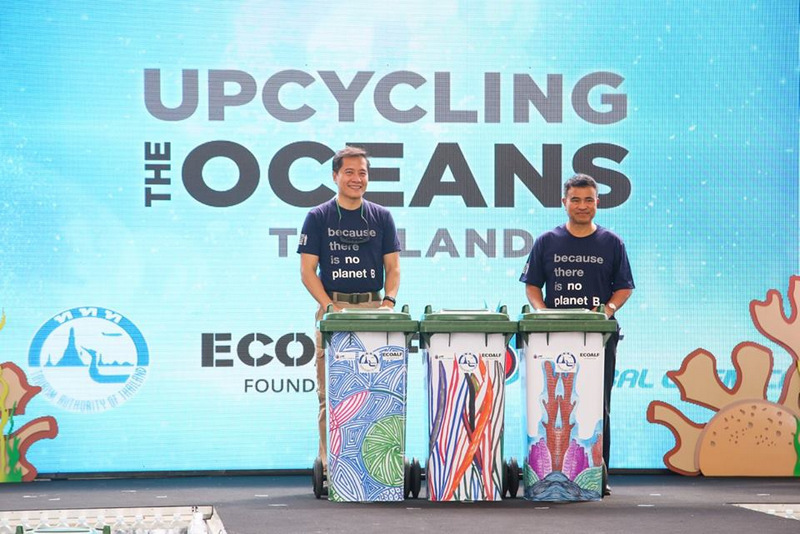 “The Ecoalf Foundation is very pleased that Thailand has realised the problem of plastic waste in the sea and its environmental impact, so is the first country in Asia to proactively implement its own “Upcycling the Oceans, Thailand” project,” Mr Weerasak said. 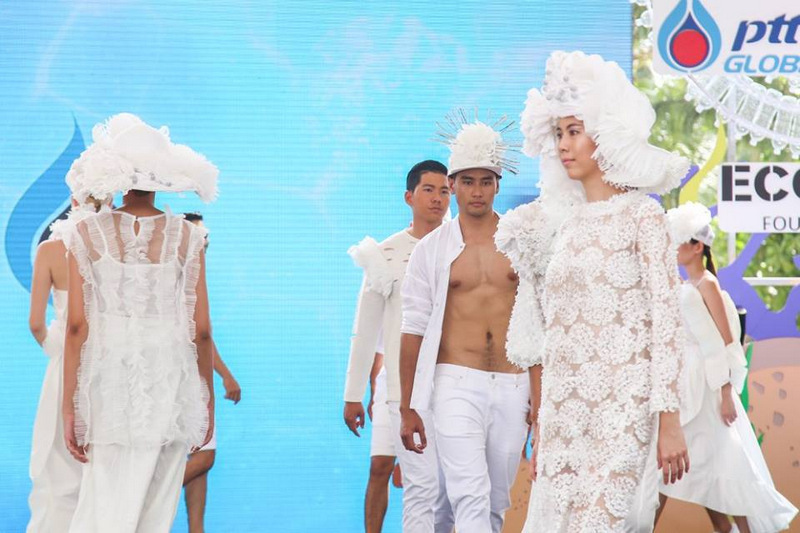 “We have joined with proactive allies the TAT and PTTGC to conduct systematic waste management for the sea, collecting and transforming plastic waste into new clothes and fashion items,” he added. 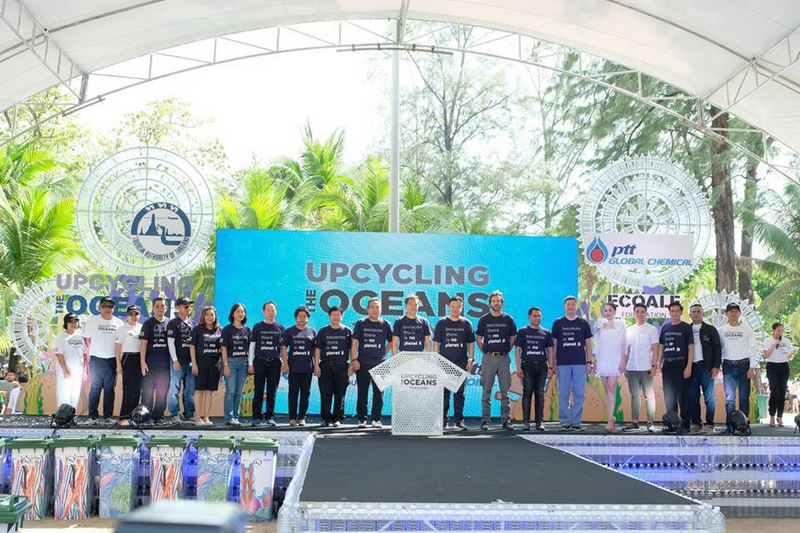 Phuket Governor Norraphat Plodthong said, “It is an honour for Phuket people to have the chance to join the ‘Upcycling the Oceans, Thailand’ event today. 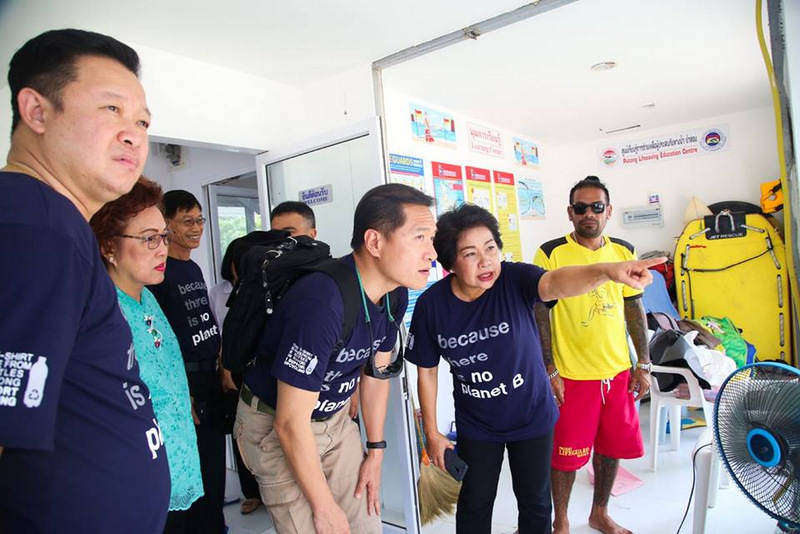 “The number of tourists visiting Phuket has increased by more than 15% from last year – that’s about 64,000 tourists passing through Phuket International Airport each day,” he added. 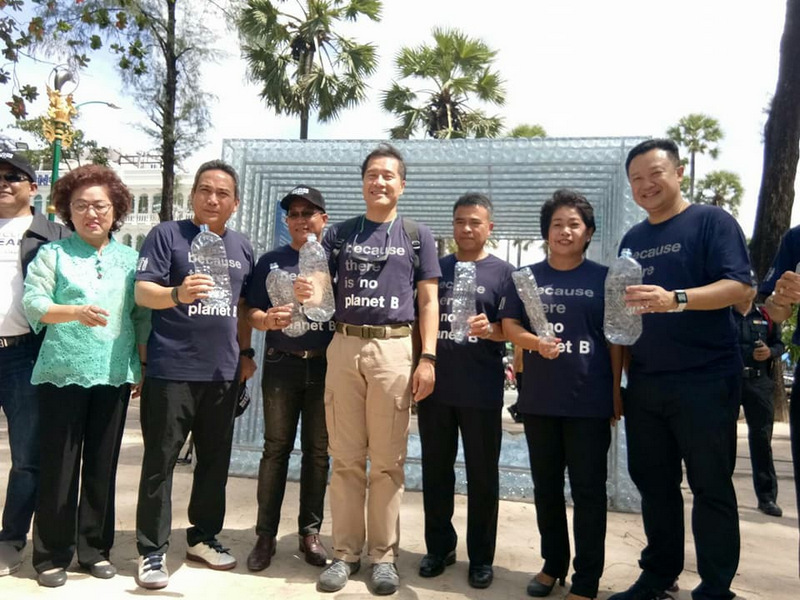 “I have plan to invite 400 Phuket investors (including business operators) and the public to unite and preserve their own community areas as much as they can. 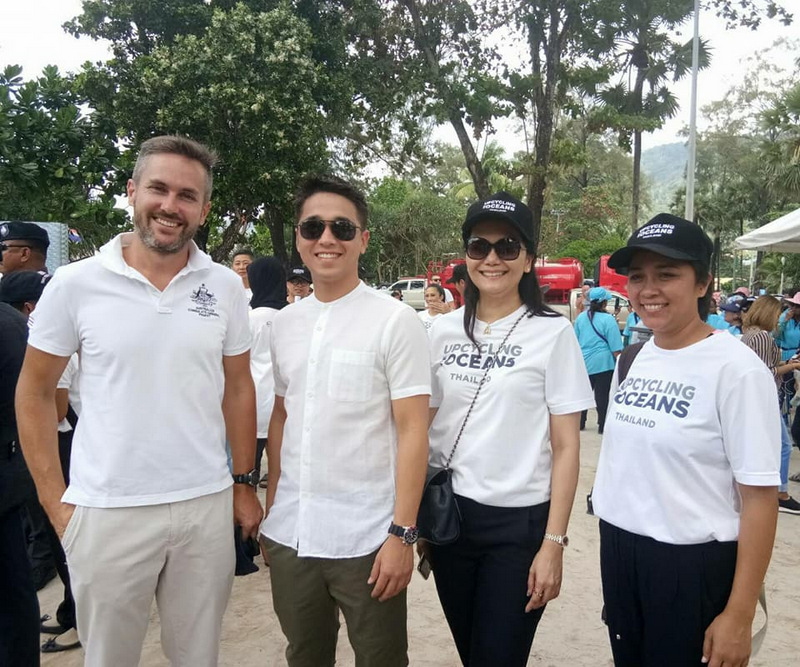 I full agree with these types of activities being held in Phuket and I fully support this project,” Gov Norraphat concluded. 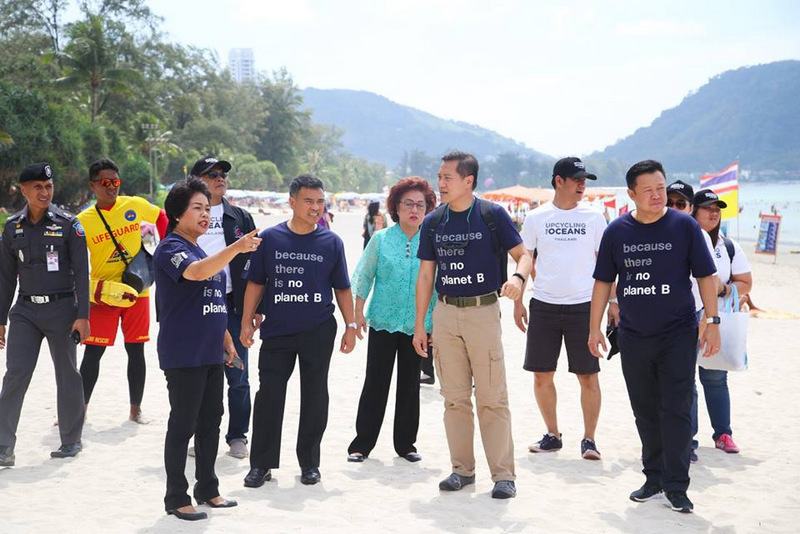 TAT Governor Mr Yuthasak also noted, “The environmental deterioration of marine tourist spots and plastic waste in the sea ruin marine ecosystems and have a detrimental effect on Thailand’s popular marine tourist destinations. 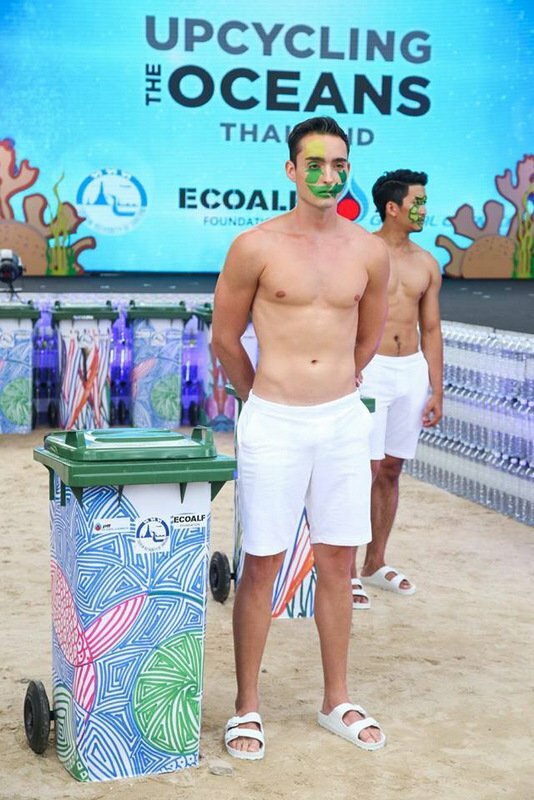 Over time, a lack of systemized waste disposal practices can worsen Thailand’s tourism competitiveness. 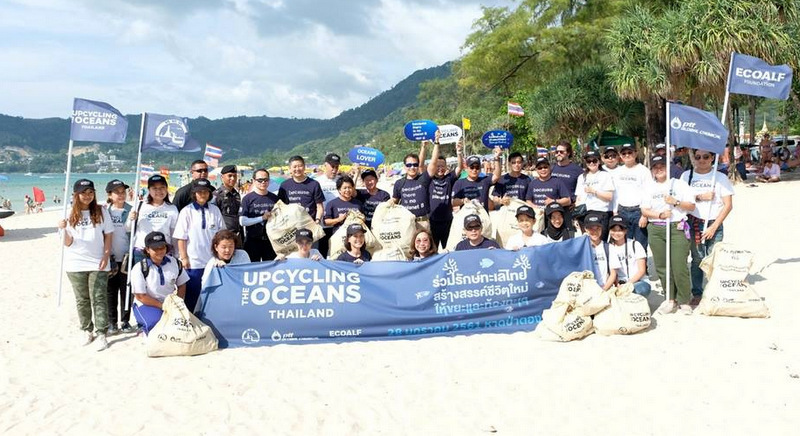 “Tourism is a key industry that brings revenue to the country, so the TAT, in collaboration with PTTGC and the Ecoalf Foundation, decided to initiate the ‘Upcycling the Oceans, Thailand’ project to tackle the problem of plastic waste in Thai seas in a sustainable manner. 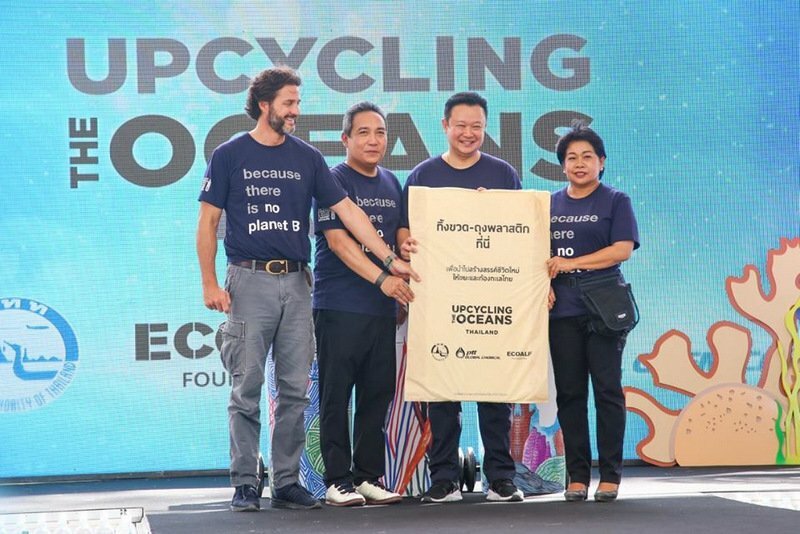 “The project involves activities for the conservation of Thailand’s seas while promoting responsible tourism, such as disposing waste in appropriate locations, and collecting waste from the beach and the sea,” he added. 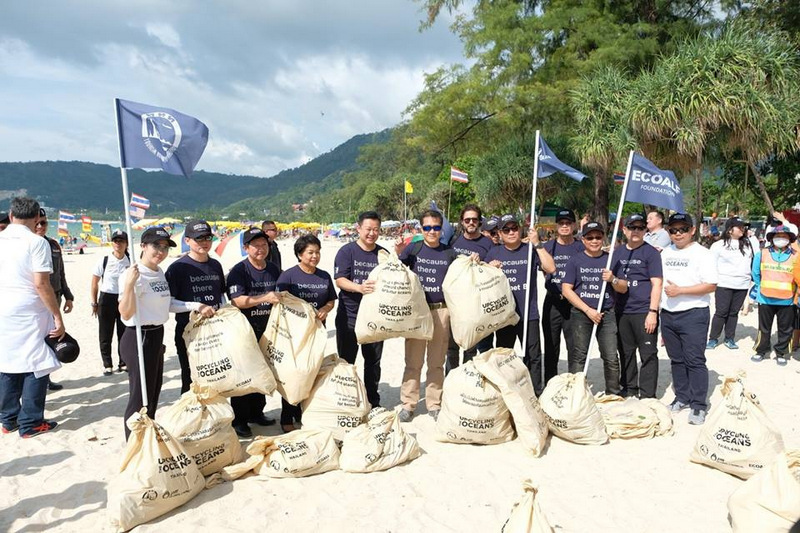 “The project’s pilot areas are Samet Island in Rayong province on Thailand’s eastern seaboard, Koh Tao and Koh Samui in the Gulf of Thailand off Surat Thani province, and Phuket on the Andaman coast, (which are) all popular tourist destinations. 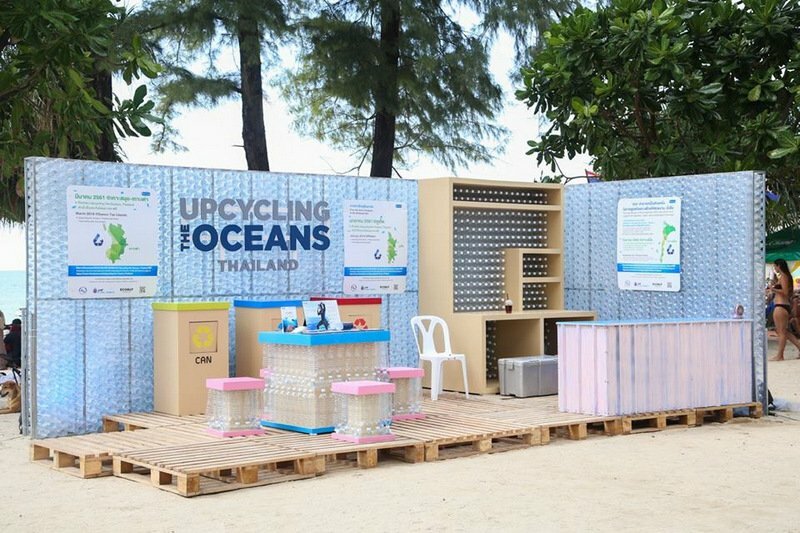 “We are confident this collaboration to conduct systematic waste management practices in these marine, coastal, and island tourist destinations, along with a campaign to raise stakeholders’ awareness about environmental conservation, will help protect and conserve the beauty and fertility of Thailand’s marine tourist areas.” Gov Yuthasak said. 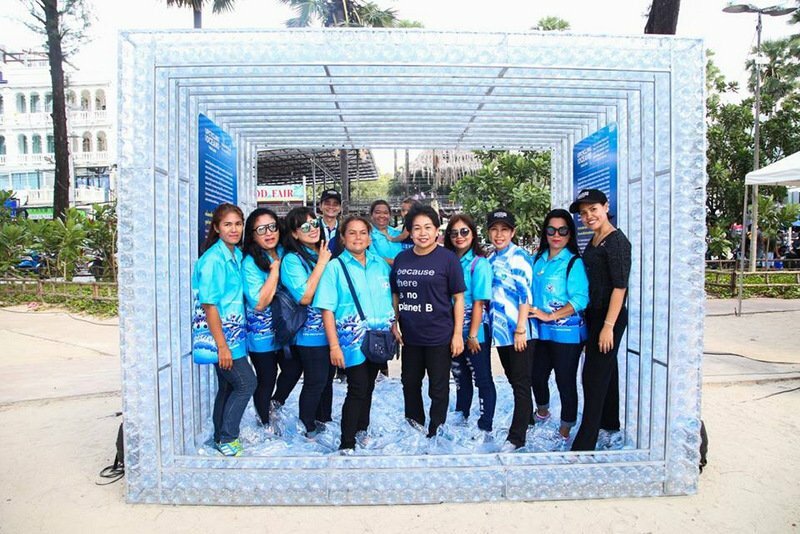 Meanwhile, Patiparn Sukorndhaman, Chief Operating Officer, Downstream Petrochemical Business of PTTGC, added, “These measures include collecting both PET and PE plastic waste such as bags and bottles, then using eco-friendly technologies to transform them into value-added clothes and fashionable products. 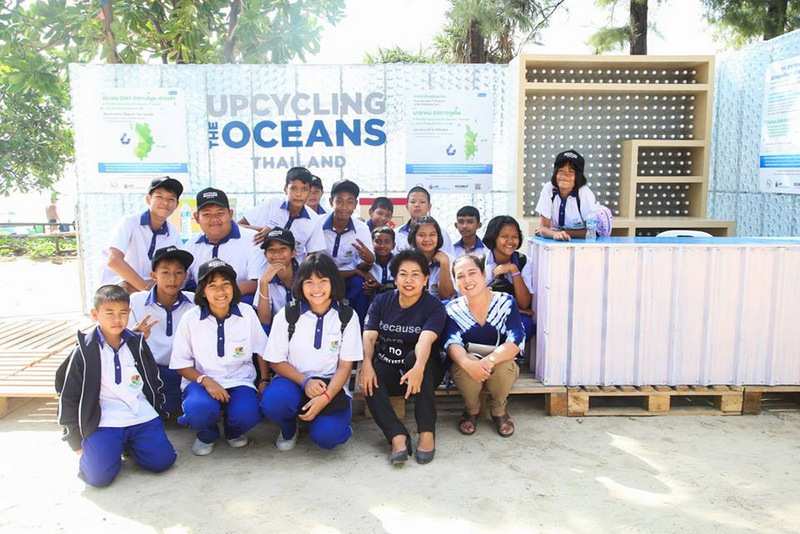 “The ‘Upcycling the Oceans, Thailand’ project supports the Thai Cabinet’s efforts to address waste disposal that are outlined in Thailand’s 20-year national strategic roadmap and the 12th National Economic and Social Development Plan. 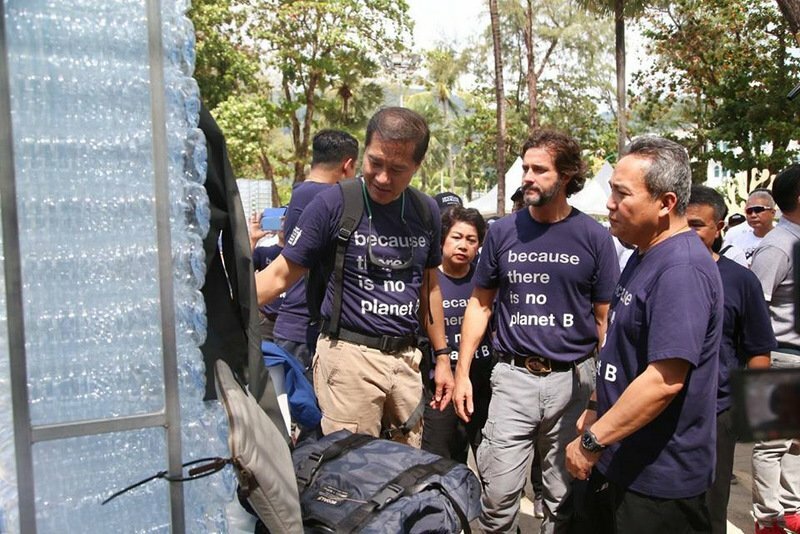 “The waste problem is also an international issue and can only be properly addressed through cooperation with others to collect litter and plastic waste found in marine, coastal, and island tourist destinations and transforming this waste into value-added products,” he said. 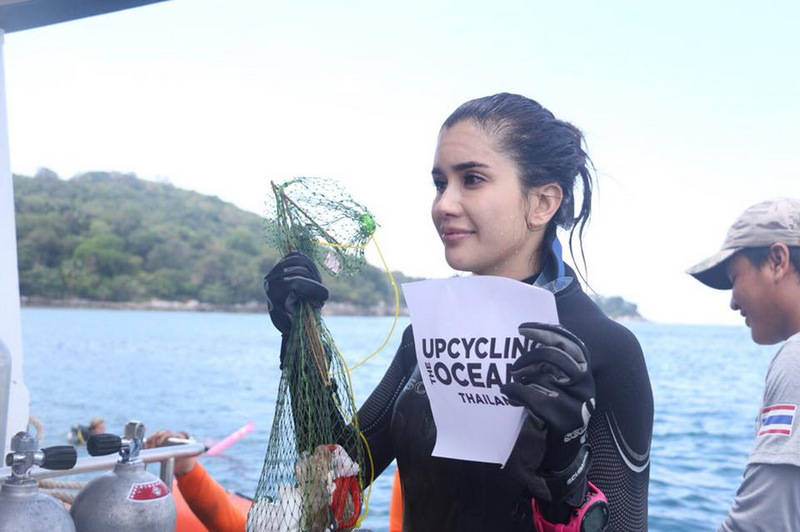 Worldwide are recycle companies, they employ people ( jobs). 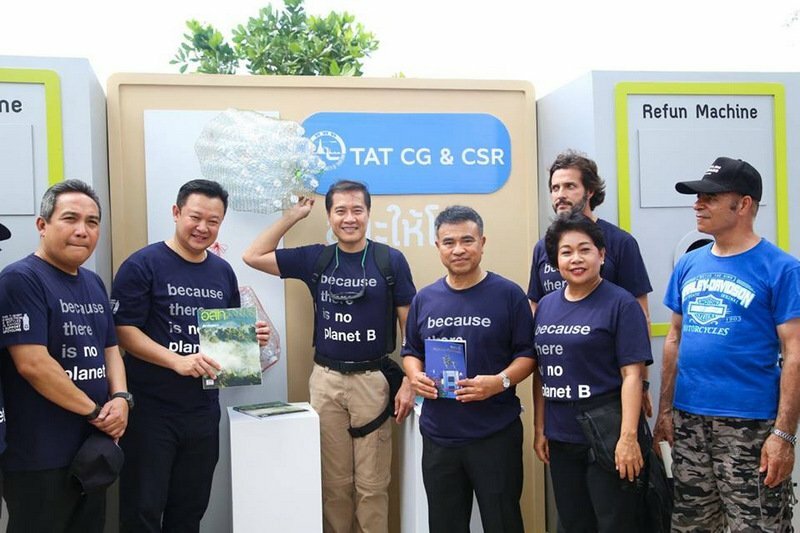 These companies not only contribute to environment, but make good profits! 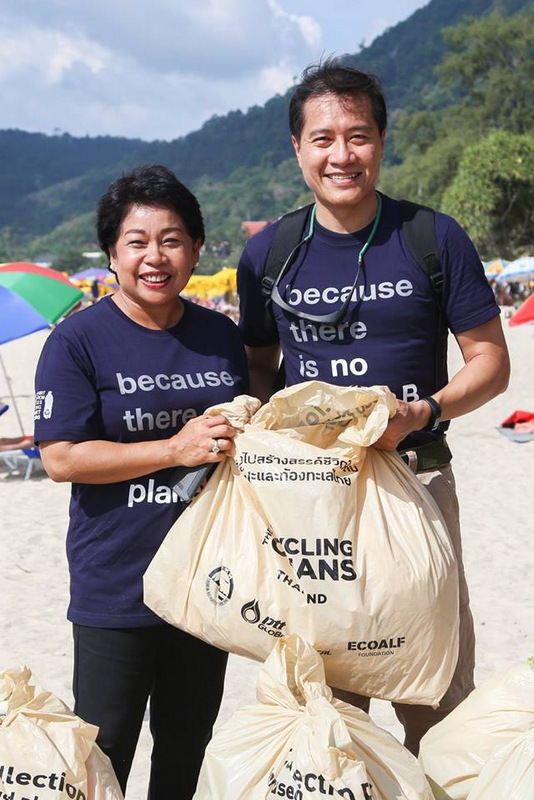 Why are Phuket shops still providing plastic bags to shoppers? Shoppers can bring their own shopping bags. Or shops can sell environmental friendly shopping bags, shopping bags the customer brings with him next shopping time. Empty bins daily..but to where? That is not sustainable. We have got to stop throwing it all away and force businesses to stop selling wasteful packaging. 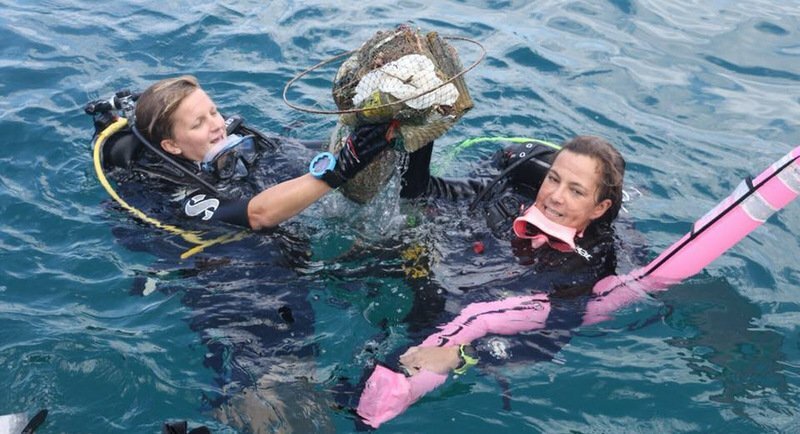 How many plastic drink cups are lying on the ground right now waiting  to be washed into the sea? 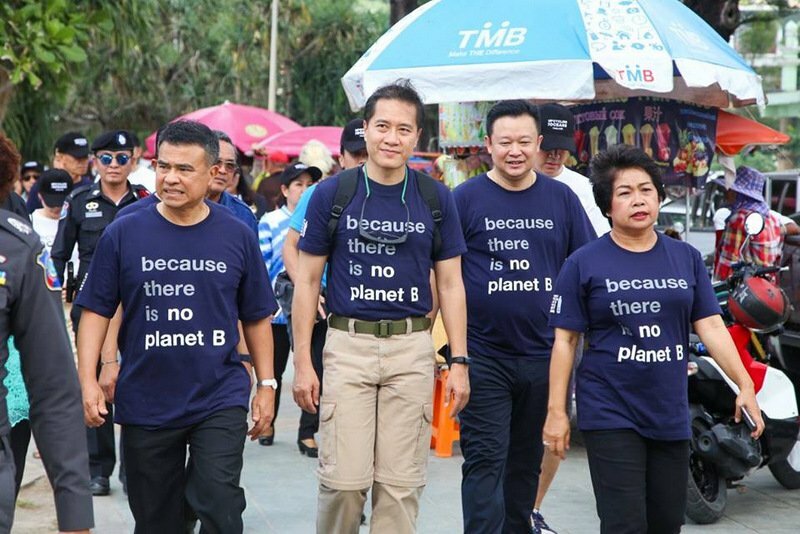 Convenience is killing the planet. 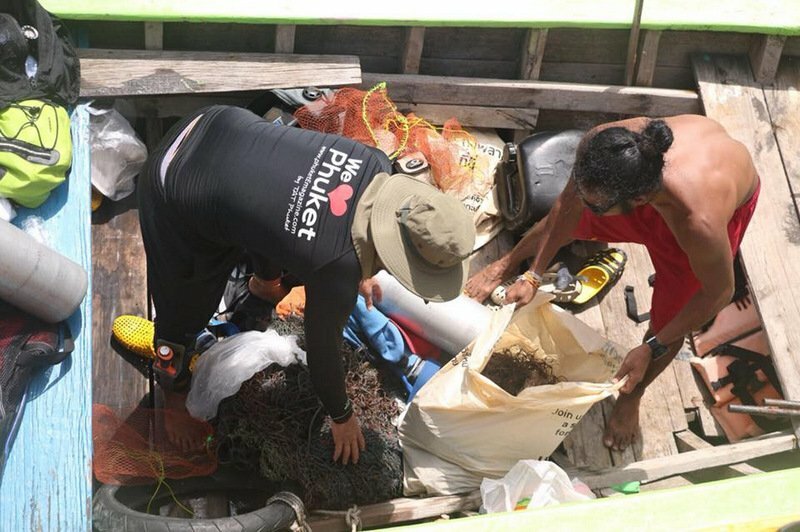 Excuse me .... its not an honour for Phuket people to volunteer to join a jumped-up group, it's your DUTY to provide this service. That's why we pay our taxes. Do your job. This attitude makes me so angry. 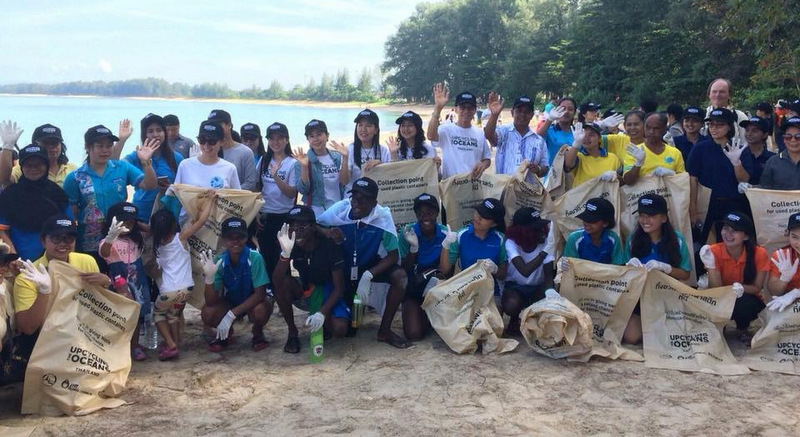 1000 people collected more than 800kg rubbish? Just 0.8 kg,  may be up to 1 kg per person only? Rubbish bins! Many! Simple solution! But empty them daily! 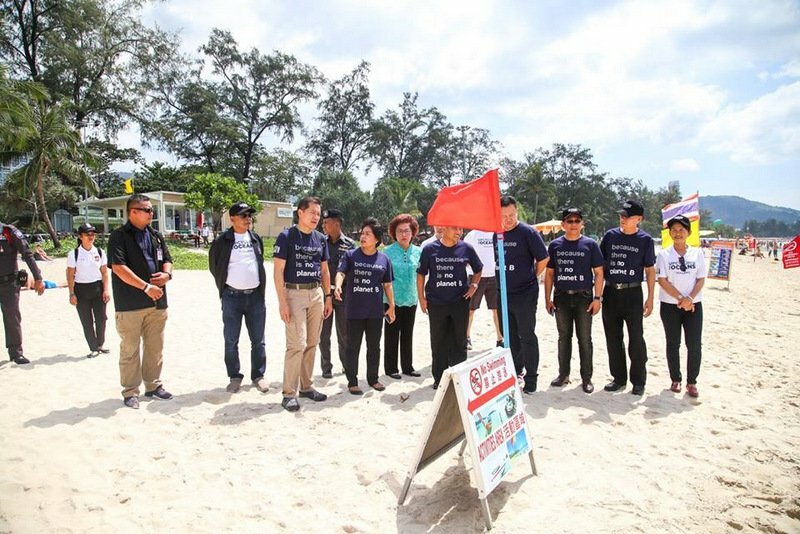 I applaud the urge of the tourist minister to Phuket residents businesses and tourists! 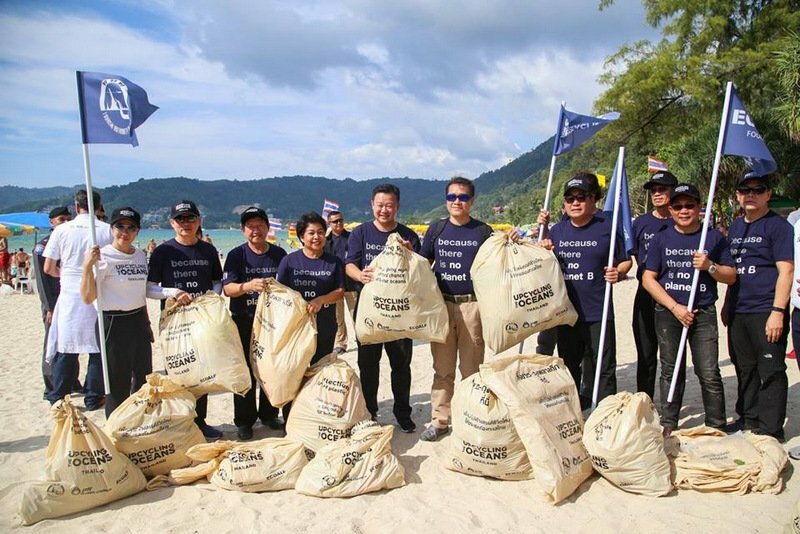 Now Minister, can you urge the Phuket Governor to order the Orbor Tors to facilitate the beaches with many, many rubbish bins? Than you will see the waste to be reduced in no time with more than 60%! 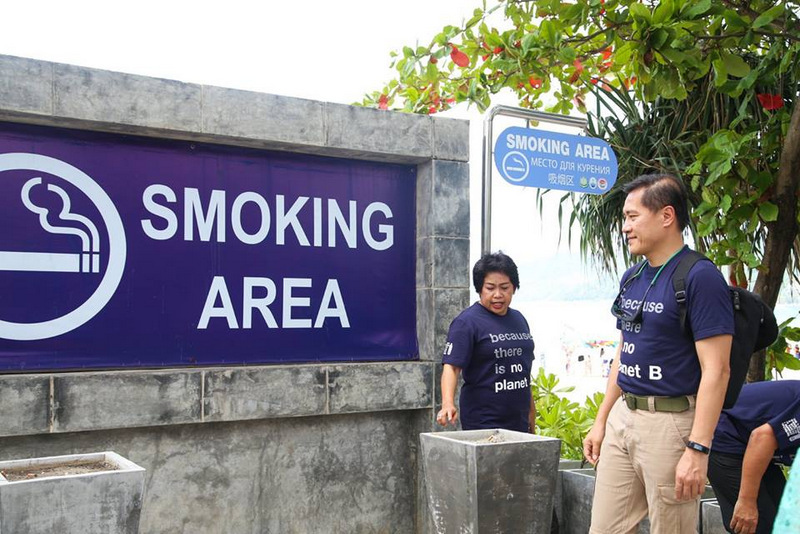 And why not a sanitation officer on duty at every beach? Beaches are important for Thailands economy.